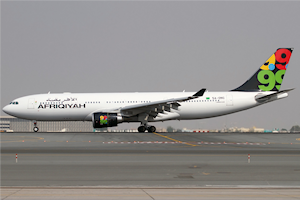 The Afriqiyah Airways A330 that crashed. On May 12th 2010, Afriqiyah Airways Flight 8U771 crashed on approach to Tripoli International Airport, Libya. 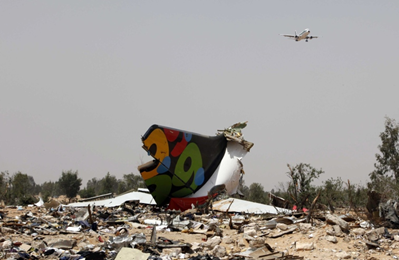 The crash of the Airbus 330 claimed the lives of 103 people. Only one passenger survived the crash. The majority of the victims, 70 in all, were Dutch nationals. Among the victims were a number of blood-relatives. Five days after the crash, the Netherlands Forensic Institute (NFI) was formally requested by both the Libyan authorities and the Netherlands Ministry of Foreign Affairs to assist with the Disaster Victim Identification (DVI) process. Bonaparte DVI was used in the screening and matching process. In total the NFI received reference samples from (relatives of ) 84 missing persons. No reference samples pertaining to 19 of the 33 non-Dutch national missing persons were received. The total identification work on the Tripoli case took about 26 days. These 26 days is the time between the arrival of the first sample and the generation of the last match report (e.g. the entire matching procedure). In order to clarify the speedup that can be attained using Bonaparte, we compare the following two similar cases. 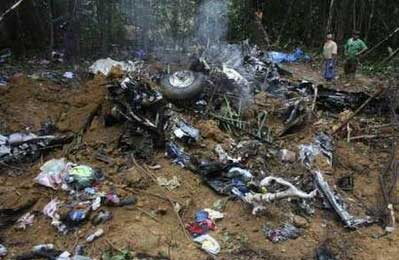 The first case is an air crash in Suriname in 2008, where 19 people died. 10 of the victims were identified using DNA, the other 9 were identified by other means (dental or fingerprints). The second case is the Tripoli air crash as described above. The number of matches is about the square of the number of body(part)s that need to be identified. April 3rd, 2008, Blue Wing Airlines crash at Lawa Antino Airport, Benzdorp, Surinam. May 12th, 2010, Afriqiyah Airways crash at Tripoli Airport. A relatively small accident with only 10 victims takes about two days to solve by hand. A case like the Tripoli air crash—with ′only′ about a hundred victims—is already undoable this way. There are too many combinations that need to be checked in order to identify all the victims. An automated identification system such as Bonaparte DVI is indispensible in cases like this. Aside from drastically shortening the time it takes for the identification process to be completed, it also reduces the risk of errors.